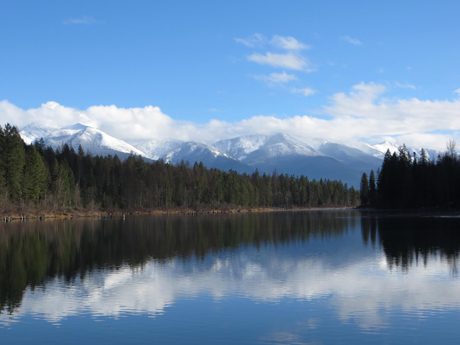 Swan Range viewed from the Swan River above Bigfork, MT. It’s been 28 years since a bunch of neighbors banded together to protect the visual and ecological integrity of the Swan Range from clear-cut logging, road-building, and recreation run-amok. We at Swan View Coalition wish you a Happy Thanksgiving and THANK YOU for your loyal support of our continued work! May you spend considerable time with friends and family this coming week, enjoy the places you love, and hold in your hearts those who cannot.